The latest from the federal NDP's leadership campaign as we reach the last day of the first round of voting. - B.J. Siekierski reports on the latest Mainstreet poll showing Jagmeet Singh with a lead, but significant room for movement at each step in the campaign. And the Huffington Post hosted the last (unofficial) all-candidates' debate of the campaign. - Not surprisingly, the candidates have been making the rounds with late-campaign activity, including Niki Ashton's Q&A with Rabble and interview with Dylan Robertson; Guy Caron's interview with Maura Forrest and John Ivison; Singh's interviews with Justin Ling and Am Johal; and Buzzfeed's interviews with all four candidates. - The International Civil Liberties Monitoring Group reviews the responses received from Ashton and Charlie Angus on security and human rights issues. And Courage offers its evaluation of the candidates. - Christo Aivalis rightly criticizes the message that members signed up within minority communities are somehow less legitimate than other voters, while Kashif Pasta compares that insinuation to the acceptance that white male voters may leave a party then return without being seen as outsiders. And Nora Loreto discusses the sexism that Niki Ashton has faced in the course of the campaign. - David Blocker has offered some lessons from past NDP leadership campaigns. Jessica Murphy, Marco Vigliotti and Kristy Kirkup provide overviews of the campaign. And Charlie Smith examines the prospect that Singh could be the NDP's first prime minister. These high rollers are able to avoid substantial amounts of tax by setting up private corporations and then funneling their incomes through these corporations. The widespread use of this tax avoidance scheme only came to light because of a detailed 2014 study by public finance scholars Michael Wolfson, Michael Veall and Neil Brooks, who used previously unavailable data from tax returns to show that billions of dollars received by some of the richest Canadians had not been included in the calculation of their incomes. Once this invisible income — amounting to an astonishing $48 billion in 2010 — is added to their reported personal incomes, Canada’s rich are considerably richer than we’ve been led to believe. For instance, according to commonly used data (for 2011), the average income for those in Canada’s top 1 per cent was $359,000. But once the income they held in private corporations was added, the actual average annual income of these folks was a much heftier $500,200. The higher up the income ladder, the more popular private corporations have become. Roughly 80 per cent of the richest .01 per cent of Canadians funnel income through private corporations and the amounts involved are substantial, the study found. The average income for those in the top .01 per cent was $4.69 million a year — an enormous income. But once the income held in their private corporations was added, the average income in this privileged group actually jumped to a stunning $8 million a year. The tax loophole for private corporations is, of course, just one of the loopholes benefiting the rich and we need a comprehensive examination of all of them, if we’re to begin addressing the growing inequality in our society. But the skirmish over this loophole is an important battle. And it won’t be easily won, given the reluctance of the powerful to give up their tax breaks. Lined up with them is Conservative leader Andrew Scheer and the high-powered world of Bay Street tax practitioners, who are churning out technical arguments aimed at obscuring what’s at stake and leaving ordinary citizens inclined to leave such complex matters to the professionals. That’s unfortunate, because what’s at stake here is vital in a democracy — a tax system that’s fair, with the ability to raise sufficient revenue to fund key public programs that benefit us all. - Gregory Beatty talks to Erin Weir about the real effect of the loopholes under review. And Lana Payne links closing tax loopholes to improved minimum wages as basic steps toward shared economic prosperity. - Speaking of which, Michal Rozworski duly critiques the TD Bank's attempt to fearmonger about a $15 minimum wage. And Martin Regg Cohn discusses why we should be skeptical of corporate interests trying to prevent workers from sharing in economic growth. - Noah Smith examines how a focus on short-term returns leads to worse results in the long run both for individual businesses and the economy as a whole. And Matt Egan notes that wealth inequality is worse in the U.S. than it's ever been. - Finally, Shawn Micallef comments on the dangers of cities not designed for basic resident safety - with a lack of bike infrastructure which creates imminent risks for cyclists serving as a particularly vivid example. First, as we concluded in our final report, non-inclusive growth patterns will always ultimately fail. Such patterns cannot produce the sustained high growth that is necessary for reducing poverty and fulfilling basic human aspirations for health, security, and the chance to contribute productively and creatively to society. They underutilize and misuse valuable human resources; and they often give rise to political or social turmoil, often marked by ideological or ethnic polarization, which then leads either to wide policy swings or to policy paralysis. Our second broad conclusion was that sustained growth requires a coherent, adaptable strategy that is based on shared values and goals, trust, and some degree of consensus. Of course, achieving that is easier said than done. Many developing countries have experienced extended periods of slow or no growth. In some cases, a country’s leaders are simply confused, and do not understand what needs to be done. In most cases, however, the ingredients of an effective “growth model” are well known, and the problem is a lack of political or social consensus about how to implement it. Achieving a higher growth equilibrium is rarely a gradual or incremental transition. It requires a discontinuous leap in expectations and policies, and a fundamental shift in the political and social consensus. When these shifts occur, leadership plays a crucial role, by providing citizens with an alternative vision, based on common values, that all stakeholders can support. Such leadership can come from above, from below, or from a representative group. But as the persistence of low-growth equilibria in many countries shows, it often doesn’t come at all. - Meanwhile, Owen Jones points out that UK Labour is taking much-needed steps to empower members and activists to push for meaningful social change. - John Milloy laments the demonization of taxes as a barrier to the discussion of important policy choices - though it's questionable whether the public buys that rhetoric to the same extent as the political class. And Linda McQuaig comments on the problems with a tax system which is designed to further privilege people with the most wealth and connections. - The CCPA and the PBO (PDF) have each offered new studies showing that Canada would save billions of dollars each year (while improving public health) with a national pharmacare program. And the Canadian Labour Congress calls for immediate action to implement a universal prescription drug plan. - Finally, Jim Bronskill reports on Fred Vallance-Jones' audit of Canada's dysfunctional access to information system - which is only getting worse under the Libs. Here, on the corporate sector's expectation that it will be able to write laws and set public policy for its own benefit - and the disturbing number of examples of it being allowed to do just that. - Jenny Uechl reported on both the secret CAPP meetings which set British Columbia's climate policy in Calgary, and CAPP's view that there's nothing at all wrong with that process. - Beatrice Britneff and Kyle Duggan report on Apotex' attempt to stifle any investigation by the Lobbying Commissioner into cash-for-access fund-raising. - Ross Marowits reports on SNC-Lavalin's push not to have fraud or corruption prosecuted as such. - While I didn't mention the example in the column, Saskatchewan readers should be familiar with the Wall government's suppression of information about the Global Transportation Hub scandal - followed by its document dump only once Brad Wall had a foot out the door. - Finally, Sean Holman wrote about the importance of access to information at all levels of government. And for those interested, David Common is speaking tonight on access to information in Saskatchewan as part of Right to Know week. - Meanwhile, Jerry Dias makes the case to close corporate tax loopholes so everybody pays their fair share for the public services Canadians value. But Nassim Khadem offers a warning from Australia about the use of public money to advertise a supposed crackdown which may have far less effect than promised. - Sheila Block and Michal Rozworski refute some of the Ontario business lobby's fearmongering about a more fair minimum wage and other improved working conditions. And Martin Regg Cohn points out how the province has been complicit in allowing businesses to evade employment standards and put workers at risk. - David Roberts discusses the effect of renewable energy mandates, and finds that they've proven effective in reducing greenhouse gas emissions while more than paying for themselves. - Finally, Tom Parkin writes that Jason Kenney is offering Albertans nothing but snake oil in his bid to take over the province. The latest from the federal NDP's leadership campaign as the first voting window closes. - Robin Sears frames the choice of members as being between a comfortable fit with Charlie Angus and a more ambitious option in Jagmeet Singh, while the Toronto Star's editorial board offers its endorsement to Singh based on its preference for the latter. And Adam Radwanski sees Singh as offering more swagger than the NDP generally exudes. - Tom Parkin argues that the Bloc's attacks on Singh may both unite the NDP around the need to confront exclusionary identity politics, and win Quebec voters over to the cause. Stephen Tweedale examines Singh's social democratic credentials. And Janice Dickson reports on Singh's interest in running in Brampton East. - Carl Meyer reports on Niki Ashton's plan to move beyond the Libs' patchwork funding for a green transition. And Maura Forrest and John Ivison interview Angus about his campaign based on authentic concern for the little guy, while Forrest interviews Niki Ashton about her plan for a bold progressive policy vision. - Finally, Eric Grenier examines the latest fund-raising numbers - which show Singh maintaining a lead, but not quite the same advantage he held in his first reporting period. And Drew Brown wonders whether the campaign is all but finished in Singh's favour, or whether the other candidates may all still be in the race. A true commons is managed not for the accumulation of capital or profit, but for the steady production of prosperity or wellbeing. It belongs to a particular group, who might live in or beside it, or who created and sustain it. It is inalienable, which means that it should not be sold or given away. Where it is based on a living resource, such as a forest or a coral reef, the commoners have an interest in its long-term protection, rather than the short-term gain that could be made from its destruction. - Meanwhile, Jim Stanford examines the impact of public-sector austerity, and finds that wage cuts for public servants lead to both wage suppression in all sectors, and overall economic stagnation. - David Macdonald studies (PDF) the effects of income splitting in private corporations, and finds that 0.3% of Canadian households use a tax loophole whose gains go disproportionately to people making over $200,000 per year. - Colleen Fuller discusses how the corporate sector has taken over Canada's health care system - particularly in British Columbia and other provinces which have been eager to sell off health provision to big business. - Jenny Uechi reports that the response of corporate titans to the revelations as to how they pulled the strings in Christy Clark's B.C. Lib government is to claim that's how things should be. Meanwhile, Ross Marowits reports that the Trudeau Liberals are going along with SNC-Lavalin's self-serving plan to make sure that corporate criminality doesn't lead to meaningful consequences. - Finally, Michael Geist writes that Bell is lobbying to turn NAFTA into a mechanism to attack consumers in the name of extreme copyright enforcement. The next Labour government will be different. To earn the trust of the people of our country, we must show that we mean it when we say we hand power back to the people. For the first time in years, we are handing our conference back to our members. Politics isn’t some technical specialism for an elite. Politics is about us all coming together to decide our futures. Taking back power for the many should be fun and exhilarating. We aren’t a lobbyists’ playground. This will be a real conference whose decisions matter. Labour is preparing for government and we are already deepening and extending the policies we set out in our election manifesto. It is Labour, not the Tories, who are prepared to tackle the long-term challenges facing our country, including automation, the threat to the environment, health costs and an ageing population. We do not have to accept that millions of people are in work but in poverty. We do not have to accept rising homelessness, food banks and zero-hour contracts. We do not have to accept rip-off energy prices or austerity without end. As I said when I was first elected leader two years ago, things can, and will, change. - Pedro Nicolaci da Costa discusses how increasing inequality is threatening economic growth and development. - Richard Partington follows up on the increasing financial precarity of UK residents, who are running up increasing credit card debt while hold less savings. And Shereen Lehman points out how affordability is the most important barrier to healthy food for people who lack it - and who face added health risks as a result. - David MacDonald explores how it's mostly a few wealthy who people have exploited income sprinkling to avoid paying their fair share of taxes. 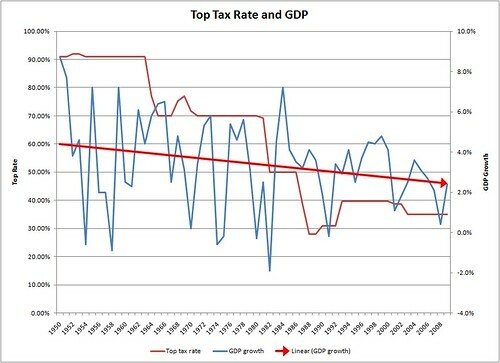 And Hassan Yussuff discusses why closing tax loopholes is a necessary step toward a fair general tax system. - Jamie Doward writes that the long list of threats to Arctic wildlife includes large masses of plastic dumped into the world's oceans. And Christine Leclerc examines how new pipelines would only lock operators into a dying industry. - Finally, Shannon Daub and Alex Hemingway highlight our choice between a political system funded by and for the public, versus one designed to cater to those with the ability to buy influence. - And Chris Winters interviews Chuck Collins about the four types of policy needed to reverse inequality and build a fair economy. - Jeremy Nuttall reports on the effect of foreign workers with minimal rights who are being imported to Alberta to drive down wages and working conditions. And Ben Schneider writes about a push by Australian unions to allow for negotiation by sector or supply chain to ensure that workers' hard-won gains in collective bargaining can't be so easily erased from the picture. - Meanwhile, Rod Hill discusses how self-insurance for workers (in contrast to even the already-limited Employment Insurance system) is doomed to failure. - Finally, Tristin Hopper reminds us that most of Canada faces far higher cell phone plan prices than most of the developed world - and that the lone exceptions are found in provinces including Saskatchewan where a regional provider ensures more fair prices than the big three telecoms would otherwise offer. The latest from the federal NDP's leadership campaign as the first voting window remains open. - Power & Politics and the Toronto Star have each posted new summaries of the candidates and their plans. Gloria Galloway reports on Charlie Angus' campaign as focusing on taking the NDP back to its roots. And Maura Forrest interviews Niki Ashton about her efforts to pull the NDP to the left. - Stephen Tweedale examines how Jagmeet Singh's platform addresses both poverty and inequality - including both direct redistribution and protections for vulnerable workers. Dan Donovan offers his endorsement to Angus based in substantial part on his view that Angus is speaking more to a business audience - which makes for a noteworthy contrast with John Ibbitson's argument that Singh would be the candidate to fundamentally change the NDP's orientation toward pursuing immigrant and suburban voters while reducing the relative role of organized labour. And Thomas Walkom argues that Angus may be the perfect candidate for the traditional NDP - but may not be what members are looking for after coming close to winning power. - Chantal Hebert points out that conventional wisdom about Quebec voters has been proven wrong repeatedly in recent elections - suggesting that the assumption that Singh's religion will actually be an issue may be similarly flawed. Supriya Dwivedi questions whether a potential coalition which specifically embraces voters motivated by religious discrimination is worth pursuing based on both its unreliability in Quebec, and its message to voters across Canada. And the Globe and Mail calls out the intellectual dishonesty behind Quebec's Bill 62. - Finally, Christo Aivalis offers his take on what the NDP should learn from the successes of Bernie Sanders and Jeremy Corbyn - with particular emphasis on the need to inspire supporters with bold and clear social democratic policies. - Rachel Bunker writes that Equifax represents the worst of an out-of-control capitalist system, as a poorly-regulated and unreliable credit reporting operation is making profits for itself by reinforcing existing discrimination among other businesses. - Naomi Klein discusses this summer's spate of wildfires and widespread smoke as showing how climate change is literally causing key parts of our planet to burn. - Mario Canseco argues that confusion as to the meaning of a child care program shouldn't serve as an obstacle to implementing a system which offers parents much-needed options in British Columbia. - Jorge Barrera reports that even as the Libs have pleaded poverty in refusing to provide equal funding for on-reserve education and child welfare services, they've handed out nearly half a million dollars to a party-friendly consultant to reiterate the obvious. - Beatrice Britneff and Kyle Duggan report on Apotex' attempt to stifle an investigation into its lobbying of the Libs. And Murray Mandryk comments on the latest revelations of Sask Party wrongdoing from the Global Transportation Hub, while Sean Holman highlights how governments are still suppressing far too much information from Canadians. - Finally, Jim Bronskill reports on the Libs' absolute failure to fix the most important problems with Bill C-51.